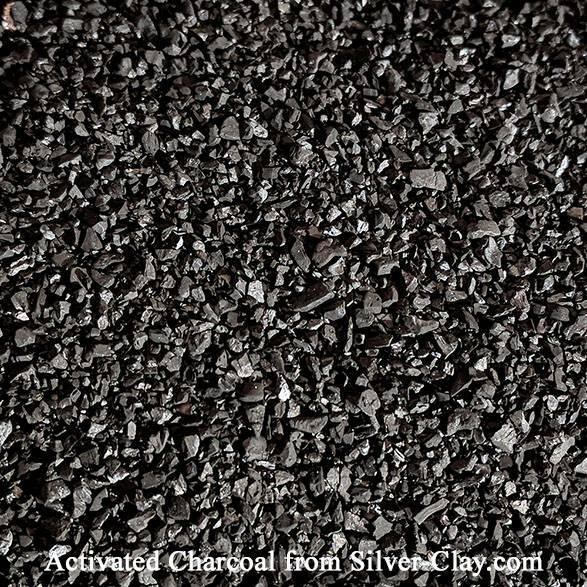 Activated CARBON 2 lbs -- Coal-based, acid-washed carbon produces a colorful range of patinas, used in sealed Firing Container for BronzClay. 1.5 lbs is enough to fill the large container all the way to the top. If you don't let air get to the carbon until it is cool, you can re-use it many times. To prepare the carbon for use, place it inside the container, cover with the lid and fire for 30 minutes at 1550 degrees F. Coal -based, acid-washed carbon creates a color patina on pieces as they're fired. Coconut shell-based carbon preserves the natural color of your pieces.